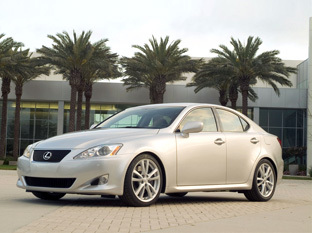 Featured in the 2006 Lexus IS 350 was a newly-designed fuel injection system and dual VVT-i (Variable Valve Timing) helping the 3.5-liter V6 engine achieve more than 300 horsepower, resulting in zero-to-60 mph acceleration in less than six seconds. 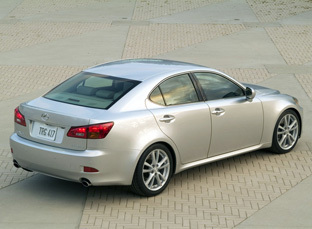 With an estimated combined city/highway fuel economy in the high twenties, the Lexus IS 350's fuel efficiency is similar to the EPA average for compact cars with 2.0-liter four-cylinder engines. 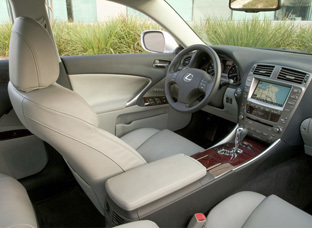 The IS 350 receives Lexus' new Vehicle Dynamics Integrated Management (VDIM) system to provide superior dynamics and control, while continuing the IS legacy of driving fun.